Chicago cops are on the lookout for a silver Suzuki SUV that investigators believe has been used in Lakeview robberies over the past week. 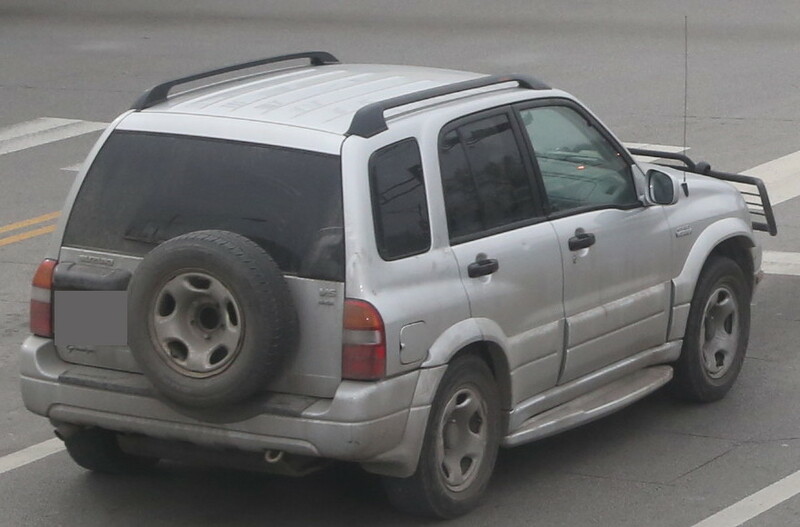 Photo of vehicle believed to be connected to recent Lakeview robberies. A photo of the actual suspect vehicle has been provided to CWB Chicago by a law enforcement source who requested anonymity because they are not authorized to release the information to the public. We have edited the photo to cover the rear license plate because the vehicle's owner has not been connected with any crime. One of the robbery crew’s victims is an ex-cop and a colleague of CWB Chicago editors. The ex-cop was robbed Saturday after being dropped off at his Lakeview home near Roscoe and Marshfield around 4:15AM. The victim was approached by a man who shined a laser light and implied that he had a gun. Taken was a drawstring backpack and about $40 cash. “He displayed what I believed to be a weapon in his right hand. It was a dark object but the red laser light prevented me from identifying it any further,” the long-time cop said. He described the robber as male, black, about 25 years old, 5’10” tall, wearing a black hoodie and blue jeans. The mugger jumped into a small, silver or gray SUV that fled the scene. After we realized that his description of the vehicle was similar to the photo provided by the source, we showed him the Suzuki SUV. "Wow. Very, very similar. Color and tinted back windows. It very well could be [the car]. Wow." A source provided the photo to CWB Chicago on Friday with information that it was recently used in another Lakeview robbery. In that case, a man reported that he was mugged near Diversey and Orchard around 6:45AM Wednesday by at least one man who fled in a light-colored SUV that was driven by another man. The victim’s description of the attacker is similar to the Roscoe case, police said.